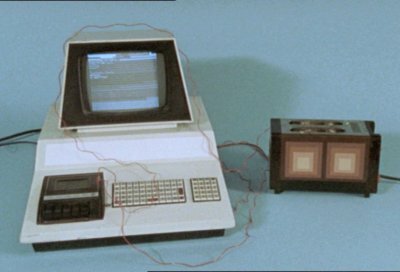 This was Commodore's first full-scale computer, and the first all-in-one computer to market (1977). 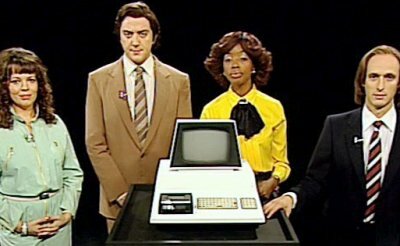 Limited graphics and a poor "chicklet" keyboard limited its success although it did fair well in the US, Canadian and UK education market. 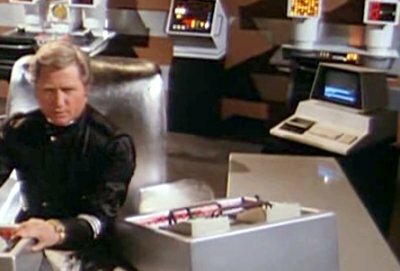 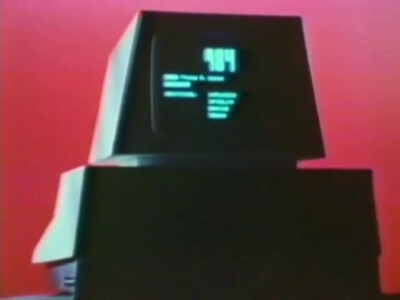 The PET is shown at the beginning of the episode where Peter Packard programs it to display "Look Around Yog". 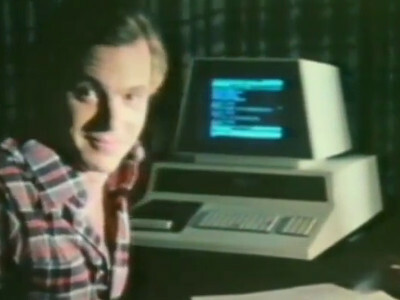 The program is written rather too quickly on that chicklet keyboard. 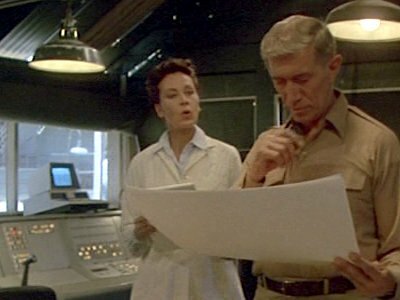 An renegade general has a secret base in the desert and a PET lurks in its control room. 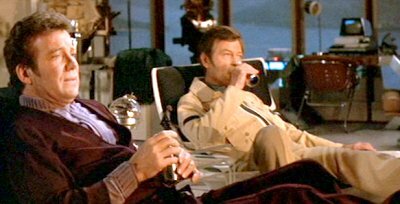 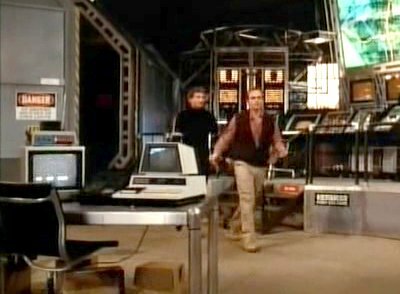 The research facility has a couple of PET computers. 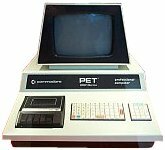 The chief of the local television station has a PET, unused in the corner of his office. 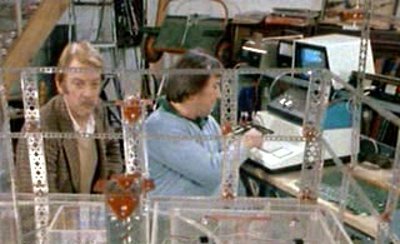 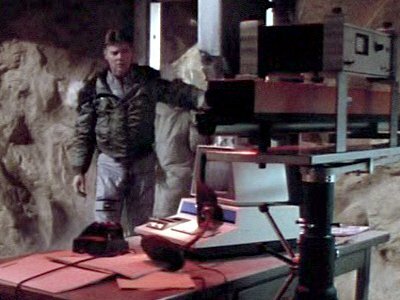 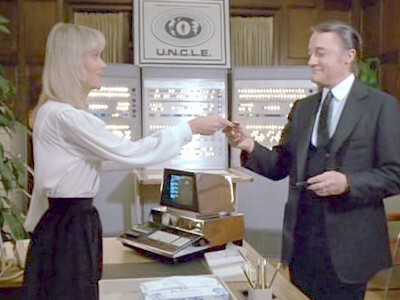 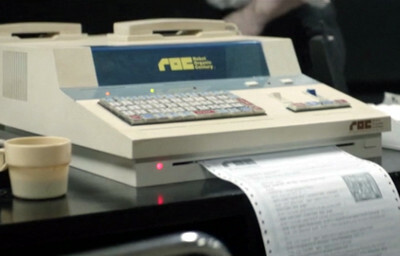 The robbers build a working model of the bank to plan their raid, controlling it using a PET 2001. 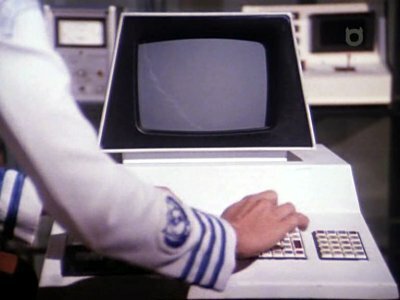 The monitor, normally integrated into the rest of the machine, has been detached. 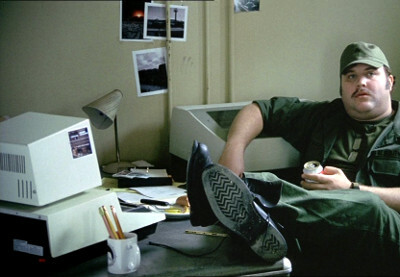 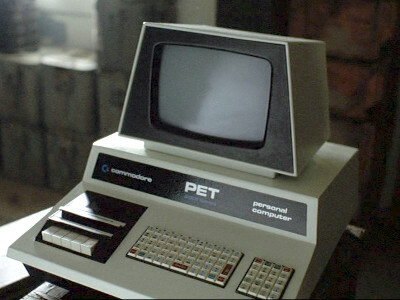 Tom uses a PET at work and later more PETs appear in various places in the prison. 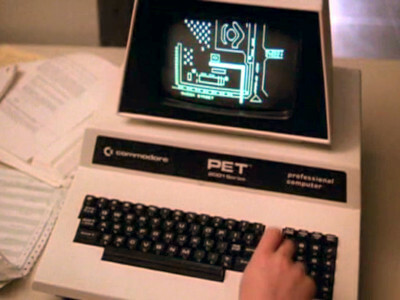 Rudy is told to become editor of a new newspaper for the base and is given a Commodore Pet to write it with. 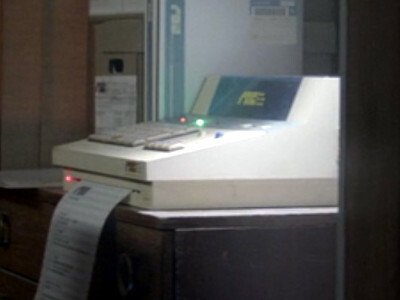 Hacked up PETs are used as glorified fax machines in the city. 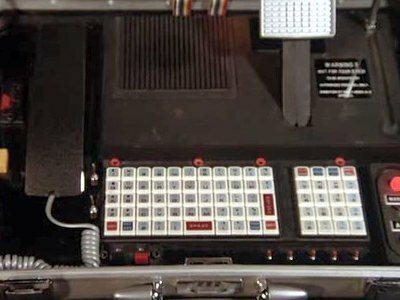 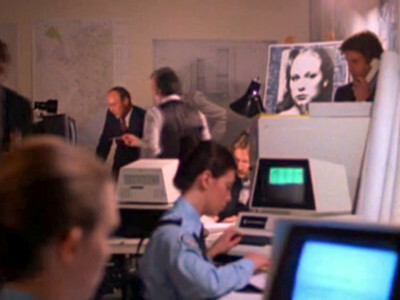 The Secret Service use a Commodore PET to map the location of video cameras around the armoured car. 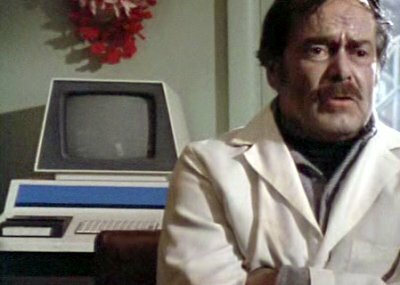 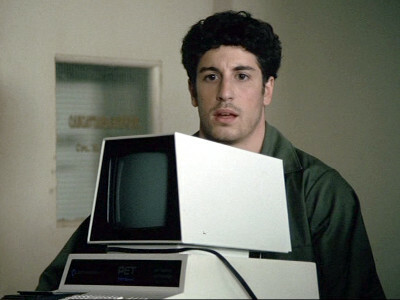 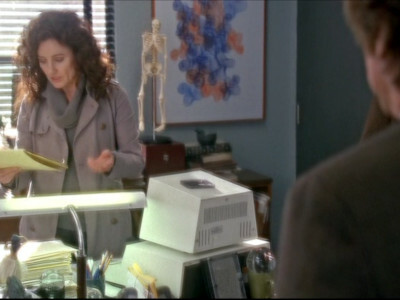 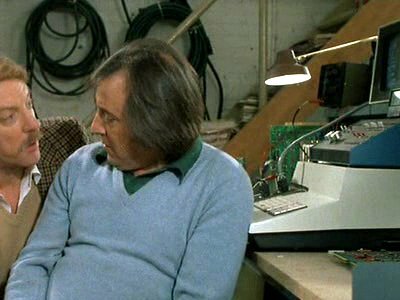 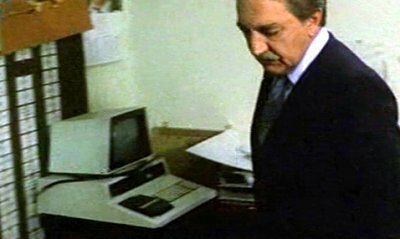 Peter's father has a Commodore PET in his office.